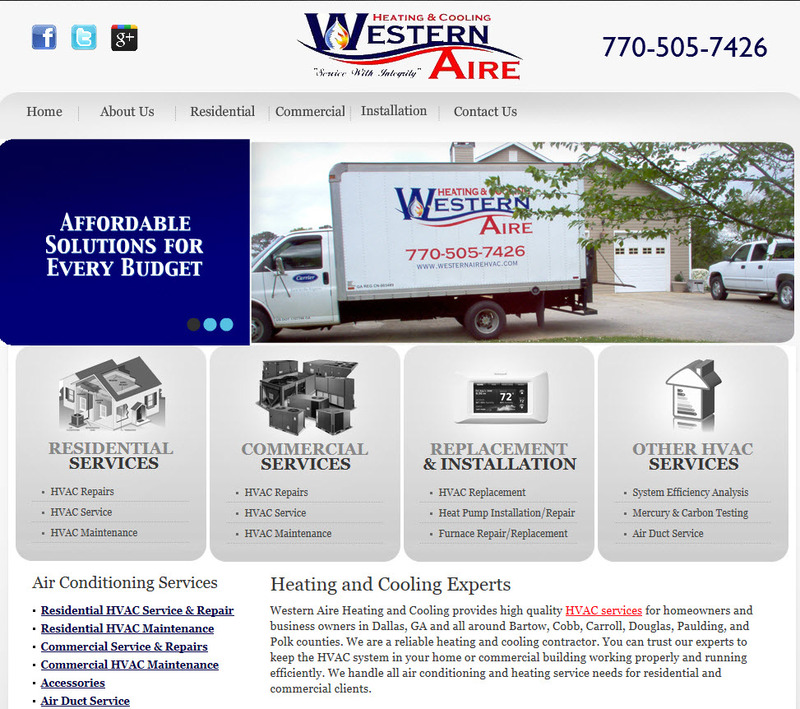 Western Aire Heating and Cooling serves the residents of Kennesaw, GA and the surrounding areas with fast, reliable and affordable air conditioning repair services. Our full service HVAC company has been providing top quality heating and air conditioning repair, maintenance and installation services for over twenty-six years. Now we would like the opportunity to earn your business! Heating and air conditioning problems have a way of occurring at the worst possible times. If your air conditioning system goes out, you need a company you can trust to quickly and effectively fix the problem and get your system back up and running again. Western Aire Heating and Cooling employs a team of highly-skilled HVAC technicians who are trained to repair all different types and brands of heating and air conditioning systems. Our technicians are prompt, courteous and professional. Before performing any repairs, our experts will perform a complete diagnostic review of your system. This ensures that it gets fixed right, the first time. We also stand firmly behind our work and provide warranties on all of our repair services. If the air conditioning system in your home cannot be repaired and needs to be replaced, we can help with this also. Our knowledgeable technicians can help you select an energy-efficient model to meet your needs and then professionally install it for you. We will also be around to handle any needed maintenance or repairs in the future. We have the air conditioning services you need at prices you can afford! If you live in or around Kennesaw and are in need of residential HVAC service or repairs, please call our fully licensed, bonded and insurance heating and air conditioning company today and speak to one of our experts. As an added benefit for our valued clients, we offer free estimates as well as second opinions. We also provide a free service call with every repair job. We look forward to serving you!